Outdoor driving ranges are available onsite at our stores in Greenland, NH, Hudson, NH, and West Lebanon, NH, and just two miles from our store in Scarborough, ME. If you are interested in trying new clubs, we will provide you with range balls free of charge so you can test the clubs outdoors. Take advantage of this great opportunity to see your ball in flight and try new clubs before you buy. The outdoor range in Greenland features a grass tee as well as covered stalls to protect you during inclement weather or if you prefer to escape from the sun. We also have an outdoor artificial turf putting green where you can practice or test out a new putter. In Greenland, we offer custom club fitting on the outdoor range, allowing you to experience the best of both worlds: all the essential statistics of computer-based club fitting PLUS the added benefit of seeing your full ball flight. Our fitting experts will custom fit you to the best clubs for your game using the Flightscope Xi+ launch monitor, the world’s leading technology for 3D ball tracking. Our Hudson store is located on the property of the World Cup Golf Center, which features 180° of pristine grass tee hitting areas and an outdoor practice putting green. We also have 16 outdoor hitting bays attached to the back of the Hudson building that are lighted and heated for use 12 months a year. 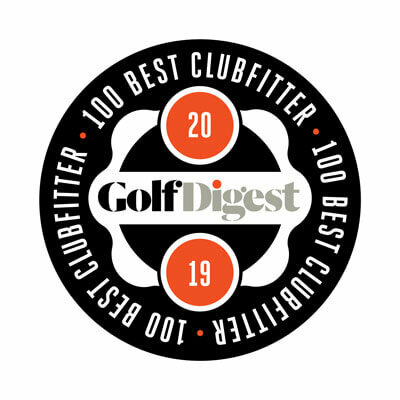 Come rain or shine, snow or cold, this is the premier location to hit balls and try new clubs in southern New Hampshire. In Hudson, we offer custom club fitting on the outdoor range, allowing you to experience the best of both worlds: all the essential statistics of computer-based club fitting PLUS the added benefit of seeing your full ball flight. Our fitting experts will custom fit you to the best clubs for your game using the Trackman 4 launch monitor, the technology all the leaders in the game trust for data. The Fore-U Golf Center is located in the same parking lot as our West Lebanon store. Fore-U features an outdoor driving range with both grass tees and double decker hitting bays with artificial turf and covered stalls. A miniature golf course and batting cages are also on site.